There was a blue wave in Delaware and in the US House, just not in the US Senate. 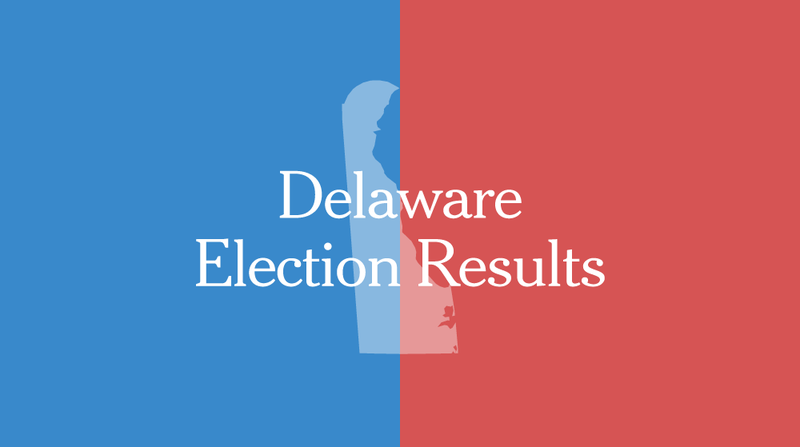 Democrats in Delaware expanded their majority in both chambers of the General Assembly with Laura Sturgeon defeating Greg Lavelle in the 4th SD and with Krista Griffith defeating Deborah Hudson in the 12th RD. State Treasurer Ken Simpler, the only remaining statewide Republican official in the state (with Auditor Tom Wagner retiring) went down to defeat to Colleen Davis. So that means Governor Carney’s top two potential challengers in Lavelle and Simpler were swept out of office, damaging their prospects in 2020. At least, Mike Ramone won after all the bashing from the left! Alby, what town in France are you moving to and I need a name for a realtor. Delaware is now screwed, bigger government and free everything. Why do you need a name for a realtor? The “town” is called Paris. Perhaps you’ve heard of it? I think we can look at Ramone as a Dead Man Walking unless he ups his game next session. The kerfuffle over his financial corruption is not over, either. It shouldn’t be. But I have no real hope that local media will join in any accountability reporting on this, though. Even if he ups his game he is an ethically challenged, less than minimum wage-to minors-supporting legislator who is being challeneged every year he remains in office. Promise. He won by 400 votes. The reality is that the 21st only knows Mike Ramone “is a nice guy”, has a lot of coffees, attends civic association meetings, and fixes potholes. If they knew his true voting record, they’d realize he’s a fraud and he’d be out the door. We need to start the work for 2020 early and get these Democrats to vote for his opponent (hopefully Stephanie Barry). Dems getting more competitive — SD 6 in Sussex); SD 16 (in Kent): RD 21; RD22 close or closer than I had imagined and the Red seats flipped mean that Dems are unlocking the ability to take advantage of their registration advantages AND speak to independents. How much more Trumpy will the local GOP go? — their base wants all of the white supremacy that is winning for Trumpists, but they do not live in a state that will buy it. I am reminded of all of the calls by moderate Dems to pay attention to their moderation. Seems to me that it is the local GOP who needs this advice. Dem ally groups were the MVPs here — Delaware Women for Inclusion; all of the Indivisible groups; Delaware United; Network Delaware; Women’s March groups, Mary Ann’s List, provided needed early energy and early focus to push this wave. I didn’t hear them acknowledged last night (they might have been, I just didn’t hear it), but we need to really yell from the rooftops their outstanding effort. Constitutional Sheriff-hood is DEAD — thanks to Scott Phillips, Sheriff-Elect for NCCo for putting the stake in it’s heart. Opportunity 2020 — I see lots for Dems. LOTS. Key to this opportunity is going to be a GA that gets to work delivering on real solutions to some of our toughest problems. Education. Criminal Justice Reform. Voting Rights expansion. Investment in Delawareans to take advantage of some of the growth opportunities coming our way. Get to work on an agenda that works for the people who gave you solid majorities, rather than an agenda that protects yourselves. Criminal Justice Reform could free up a lot of money that we currently waste on mass incarceration. If would also be nice to see voting rights restored to felons when they have served their time or sentence. Above all I’d like to see the revenge factor removed from the criminal justice system and replaced with a pragmatic approach more likely to work. Oh good! If this was when the party started, I wasn’t there yet. Thanks for letting me know, though.